Figure 7 The complex of Ga^GDP with Gp1y2. GP1 and Gy2 are colored as in Figure 6. The sidechain of tryptophan 99 in GP., shown as a stick model, is prominent in the interface with Ga^, which is rendered in charcoal. The switch regions of Ga^ are red, and GDP is shown as a ball-and-stick model. preceding a5 increases the intrinsic nucleotide exchange rate and also reduces the thermostability of Gaü [63,64]. Some residues that affect receptor coupling are located in the Ga-Gß interface but distant from the putative receptor binding surface, suggesting that Gßy plays a direct role in GPCR-mediated nucleotide exchange. The mechanism by which GPCRs catalyze nucleotide exchange from Ga remains one of the more puzzling mysteries in the structural biology of signaling. Crystal structures of receptors bound to heterotrimeric G proteins, in a spectrum of functional states, will eventually be determined and will provide some, but probably not complete, insight into receptor function. Equally important is the need to understand the organization and dynamic behavior of G protein signaling complexes at the cell membrane. The tools required for such investigations are still being developed (see http://www.cellularsignaling.org/). 1. Gilman, A. G. (1987). G Proteins transducers of receptor-generated signals. Annu. Rev. Biochem. 56, 615-649. 2. Sprang, S. R. (1997). G protein mechanisms: Insights from structural analysis. Annu. Rev. Biochem. 66, 639-678. 3. Hamm, H. E. (1998). The many faces of G protein signaling. J. Biol. Chem. 273, 669-672. 4. Morris, A. J. and Malbon, C. C. (1999). Physiological regulation of G protein-linked signaling. Physiol. Rev. 79, 1373-1430. 5. Sunahara, R. K., Dessauer, C. W., and Gilman, A. G. (1996). Complexity and diversity of mammalian adenylyl cyclases. Annu. Rev. Pharmacol. Toxicol. 36, 461-480. 6. Singer, W. D., Brown, H. A., and Sternweis, P. C. (1997). Regulation of eukaryotic phosphatidylinositol-specific phospholipase C and phos-pholipase D. Annu. Rev. Biochem. 66, 475-509. 7. Kozasa, T., Jiang, X., Hart, M. J., Sternweis, P. M., Singer, W. D., Gilman, A. G., Bollag, G., and Sternweis, P. C. (1998). p115 RhoGEF, a GTPase activating protein for Ga^ and GaB. Science 280, 2109-2111. 8. Linder, M., Pang, I., Duronio, R., Gordon, J., Sternweis, P., and Gilman, A. (1991). Lipid modifications of G protein subunits. Myristoylation of Go alpha increases its affinity for beta gamma. J. Biol. Chem. 266, 4654-4659. 9. Mumby, S. M., Heukeroth, R. O., Gordon, J. I., and Gilman, A. G. (1990). G-protein alpha-subunit expression, myristoylation, and membrane association in COS cells. Proc. Natl. Acad. Sci. USA87, 728-732. 10. Linder, M., Middleton, P., Hepler, J., Taussig, R., Gilman, A., and Mumby, S. (1993). Lipid modifications of G proteins: alpha subunits are palmitoylated. Proc. Natl. Acad. Sci. USA 90, 3675-3679. 11. Wedegaertner, P. B., Bourne, H. R., and von Zastrow, M. (1996). Activation-induced subcellular redistribution of Gs alpha. Mol. Biol. Cell. 7, 1225-1233. 12. Taussig, R., Iniguez-Lluhi, J. A., and Gilman, A. G. (1993). Inhibition of adenylyl cyclase by Gi alpha. Science 261, 218-221. 13. Coleman, D. E., Berghuis, A. M., Lee, E., Linder, M. E., Gilman, A. G., and Sprang, S. R. (1994). Structures of active conformations of Gial and the mechanism of GTP hydrolysis. Science 265, 1405-1412. 14. Mixon, M. B., Lee, E., Coleman, D. E., Berghuis, A. M., Gilman, A. G., and Sprang, S. R. (1995). Tertiary and quaternary structural changes in Gia1 induced by GTP hydrolysis. Science 270, 954-960. 15. Noel, J. P., Hamm, H. E., and Sigler, P. B. (1993). The 2.2 Ä crystal structure of transducin-alpha complexed with GTPyS. Nature 366, 654-663. 16. Lambright, D. G., Noel, J. P., Hamm, H. E., and Sigler, P. B. (1994). Structural determinants for activation of the alpha-subunit of a het-erotrimeric G protein. Nature 369, 621-628. 17. Sunahara, R. K., Tesmer, J. J. G., Gilman, A. G., and Sprang, S. R. (1997). Crystal structure of the adenylyl cyclase activator Gsa. Science 278, 1943-1947. 18. Walker, J. E., Saraste, M., Runswick, M. J., and Gay, N. J. (1982). Distantly related sequences in the a- and ß-subunits of ATP synthase, myosin, kinases and other ATP-requiring enzymes and a common nucleotide binding fold. EMBO J. 1, 945-951. 19. Tesmer, J. J. G., Sunahara, R. K., Gilman, A. G., and Sprang, S. R. (1997). Crystal structure of the catalytic domains of adenylyl cyclase in a complex with Gsa»GTPyS. Science 278, 1907-1916. 20. Slep, K. C., Kercher, M. A., He, W., Cowan, C. W., Wensel, T. G., and Sigler, P. B. (2001). Structural determinants for regulation of phosphodiesterase by a G protein at 2.0 Ä. Nature 409, 1071-1077. 21. Dessauer, C. W., Tesmer, J. J., Sprang, S. R., and Gilman, A. G. (1998). Identification of a Gia binding site on type V adenylyl cyclase. J. Biol. Chem. 273, 25831-25839. 22. Berlot, C. H. and Bourne, H. R. (1992). Identification of effector-activating residues of Gsa. Cell 68, 911-922. 23. Antonny, B. and Chabre, M. (1992). Characterization of the aluminum and beryllium fluoride species which activate transducin. Analysis of the binding and dissociation kinetics. J. Biol. Chem. 267, 6710-6718. 24. Sternweis, P. C. and Gilman, A. G. (1982). Aluminum: a requirement for activation of the regulatory component of adenylate cyclase by fluoride. Proc. Natl. Acad. Sci. USA 79, 4888-4891. 25. Sondek, J., Lambright, D. G., Noel, J. P., Hamm, H. E., and Sigler, P. B. (1994). GTPase mechanism of G proteins from the 1.7 Ä crystal structure of transducin a-GDP-AlF4-. Nature 372, 276-279. 26. Ross, E. M. and Wilkie, T. M. (2000). GTPase-activating proteins for heterotrimeric G proteins: regulators of G protein signaling (RGS) and RGS-like proteins. Annu. Rev. Biochem. 69, 795-827. 27. Watson, N., Linder, M. E., Druey, K. M., Kehrl, J. H., and Blumer, K. J. (1996). RGS family members: GTPase-activating proteins for het-erotrimeric G- protein a-subunits. Nature 383, 172-175. 28. Berman, D. M., Wilkie, T. M., and Gilman, A. G. (1996). GAIP and RGS4 are GTPase-activating proteins (GAPs) for the Gi subfamily of G protein a subunits. Cell 86, 445-452. 29. Natochin, M., Granovsky, A. E., and Artemyev, N. O. (1997). Regulation of transducin GTPase activity by human retinal RGS. J. Biol. Chem. 272, 17444-17449. 30. Lan, K. L., Zhong, H., Nanamori, M., and Neubig, R. R. (2000). Rapid kinetics of regulator of G-protein signaling (RGS)-mediated Gai and Gao deactivation. Ga specificity of RGS4 and RGS7. J. Biol. Chem. 275, 33497-33503. 31. Zheng, B., Ma, Y. C., Ostrom, R. S., Lavoie, C., Gill, G. N., Insel, P. A., Huang, X. Y., and Farquhar, M. G. (2001). RGS-PX1, a GAP for GaS and sorting nexin in vesicular trafficking. Science 294, 1939-1942. 32. Berman, D. M., Kozasa, T., and Gilman, A. G. (1996). The GTPase-activating protein RGS4 stabilizes the transition state for nucleotide hydrolysis. J. Biol. Chem. 271, 27209-27212. 33. Srinivasa, S. P., Watson, N., Overton, M. C., and Blumer, K. J. (1998). Mechanism of RGS4, a GTPase-activating protein for G protein a subunits. J. Biol. Chem. 273, 1529-1533. 34. Druey, K. M. and Kehrl, J. H. (1997). Inhibition of regulator of G protein signaling function by two mutant RGS4 proteins. Proc. Natl. Acad. Sci. USA 94, 12851-12856. 35. Tesmer, J. J. G., Berman, D. M., Gilman, A. G., and Sprang, S. R.
(1997). Structure of RGS4 bound to AIF- activated Gia1: stabilization of the transition state for GTP hydrolysis. Cell 89, 251-261. 36. Berstein, G., Blank, J. L., Jhon, D.-Y., Exton, J. H., Rhee, S. G., and Ross, E. M. (1992). Phospholipase C-ß1 is a GTPase-activating protein for Gq/11, its physiologic regulator. Cell 70, 411-418. 37. Chidiac, P. and Ross, E. M. (1999). Phospholipase C-ß1 directly accelerates GTP hydrolysis by Gaq and acceleration is inhibited by Gß gamma subunits. J. Biol. Chem. 274, 19639-19643. 38. Ilkaeva, O., Kinch, L. N., Paulssen, R. H., and Ross, E. M. (2002). Mutations in the carboxyl-terminal domain of phospholipase C-beta 1 delineate the dimer interface and a potential Gaq interaction site. J. Biol. Chem. 277, 4294-300. 39. Chen, Z., Wells, C. D., Sternweis, P. C., and Sprang, S. R. (2001). Structure of the rgRGS domain of p115RhoGEF. Nat. Struct. Biol. 8, 805-809. 40. Longenecker, K. L., Lewis, M. E., Chikumi, H., Gutkind, J. S., and Derewenda, Z. S. (2001). Structure of the RGS-like domain from PDZ-RhoGEF: linking heterotrimeric g protein-coupled signaling to Rho GTPases. Structure, Fold. Design. 9, 559-569. 41. Wells, C. W., Jiang, X., and Sternweis, P. C. (2001). Functional characterization of p115 RhoGEF. Meth. Enzymol. 345, 371-382. 42. He, W., Cowan, C. W., and Wensel, T. G. (1998). RGS9, a GTPase accelerator for phototransduction. Neuron 20, 95-102. 43. Sowa, M. E., He, W., Slep, K. C., Kercher, M. A., Lichtarge, O., and Wensel, T. G. (2001). Prediction and confirmation of a site critical for effector regulation of RGS domain activity. Nat. Struct. Biol. 8, 234-237. 44. Sunahara, R. K., Dessauer, C. W., Whisnant, R. E., Kleuss, C., and Gilman, A. G. (1997). Interaction of Gsa with the cytosolic domains of mammalian adenylyl cyclase. J. Biol. Chem. 272, 22265-22271. 45. Wall, M. A., Coleman, D. E., Lee, E., Iniguez-Lluhi, J. A., Posner, B. A., Gilman, A. G., and Sprang, S. R. (1995). The structure of the G protein heterotrimer Gia1P ^ Cell 80, 1047-1058. 46. Clapham, D. E. and Neer, E. J. (1997). G protein beta gamma subunits. Annu. Rev. Pharmacol. Toxicol. 37, 167-203. 47. Sondek, J., Bohm, A., Lambright, D. G., Hamm, H. E., and Sigler, P. B. (1996). Crystal structure of a G-protein Py dimer at 2.1 A resolution. Nature 379, 369-374. 48. Lambright, D. G., Sondek, J., Bohm, A., Skiba, N. P., Hamm, H., and Sigler, P. B. (1996). The 2.0 A crystal structure of a heterotrimeric G protein. Nature 379, 311-319. 49. Wall, M. A., Posner, B. A., and Sprang, S. R. (1998). Structural basis of activity and subunit recognition in G protein heterotrimers. Structure 6, 1169-1183. 50. Sondek, J. and Siderovski, D. P. (2001). Ggamma-like (GGL) domains: new frontiers in G-protein signaling and beta-propeller scaffolding. Biochem. Pharmacol. 61, 1329-1337. 51. Snow, B. E., Krumins, A. M., Brothers, G. M., Lee, S. F., Wall, M. A., Chung, S., Mangion, J., Arya, S., Gilman, A. G., and Siderovski, D. P. (1998). A G protein gamma subunit-like domain shared between RGS11 and other RGS proteins specifies binding to Gp5 subunits. Proc. Natl. Acad. Sci. USA 95, 13307-13312. 52. Ford, C. E., Skiba, N. P., Bae, H., Daaka, Y., Reuveny, E., Shekter, L. R., Rosal, R., Weng, G., Yang, C. S., Iyengar, R., Miller, R. J., Jan, L. Y., Lefkowitz, R. J., and Hamm, H. E. (1998). Molecular basis for interactions of G protein betagamma subunits with effectors. Science 280, 1271-1274. 53. Peterson, Y. K., Bernard, M. L., Ma, H., Hazard, S., 3rd, Graber, S. G., and Lanier, S. M. (2000). Stabilization of the GDP-bound conformation of Gia by a peptide derived from the G-protein regulatory motif of AGS3. J. Biol. Chem. 275, 33193-33196. 54. Takesono, A., Cismowski, M. J., Ribas, C., Bernard, M., Chung, P., Hazard, S., 3rd, Duzic, E., and Lanier, S. M. (1999). Receptor-independent activators of heterotrimeric G-protein signaling pathways. J. Biol. Chem. 274, 33202-33205. 55. Siderovski, D. P., Diverse-Pierluissi, M., and De Vries, L. (1999). The GoLoco motif: a Gai/o binding motif and potential guanine- nucleotide exchange factor. Trends Biochem. Sci. 24, 340-341. 56. Peterson, Y. K., Hazard, S., 3rd, Graber, S. G., and Lanier, S. M. (2002). Identification of structural features in the G-protein regulatory motif required for regulation of heterotrimeric G-proteins. J. Biol. Chem. 277, 6767-6770. 57. De Vries, L., Fischer, T., Tronchere, H., Brothers, G. M., Strockbine, B., Siderovski, D. P., and Farquhar, M. G. (2000). Activator of G protein signaling 3 is a guanine dissociation inhibitor for Gai subunits. Proc. Natl. Acad. Sci. USA 97, 14364-14369. 58. Palczewski, K., Kumasaka, T., Hori, T., Behnke, C. A., Motoshima, H., Fox, B. A., Le Trong, I., Teller, D. C., Okada, T., Stenkamp, R. E., Yamamoto, M., and Miyano, M. (2000). 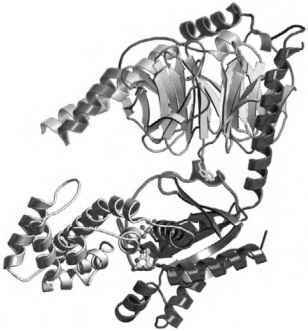 Crystal structure of rhodopsin: A G protein-coupled receptor. Science 289, 739-745. 59. Onrust, R., Herzmark, P., Chi, P., Garcia, P., Lichtarge, O., Kingsley, C., and Bourne, H. (1997). Receptor and betagamma binding sites in the alpha subunit of the retinal G protein transducin. Science 275, 381-384. 60. Cai, K., Itoh, Y., and Khorana, H. G. (2001). Mapping of contact sites in complex formation between transducin and light-activated rhodopsin by covalent crosslinking: use of a photoactivatable reagent. Proc. Natl. Acad. Sci. USA 98, 4877-4882. 61. Itoh, Y., Cai, K., and Khorana, H. G. (2001). Mapping of contact sites in complex formation between light-activated rhodopsin and trans-ducin by covalent crosslinking: use of a chemically preactivated reagent. Proc. Natl. Acad. Sci. USA 98, 4883-4887. 62. Marin, E. P., Krishna, A. G., and Sakmar, T. P. (2001). Rapid activation of transducin by mutations distant from the nucleotide-binding site: evidence for a mechanistic model of receptor-catalyzed nucleotide exchange by G proteins. J. Biol. Chem. 276, 27400-27405. 63. Iiri, T., Herzmark, P., Nakamoto, J. M., van Dop, C., and Bourne, H. R. (1994). Rapid GDP release from Gs alpha in patients with gain and loss of endocrine function. Nature 371, 164-168. 64. Posner, B. A., Mixon, M. B., Wall, M. A., Sprang, S. R., and Gilman, A. G. (1998). The A326S mutant of Gial as an approximation of the receptor-bound state. J. Biol. Chem. 273, 21752-217558. 65. Coleman, D. E. and Sprang, S. R. (1999). Structure of Gia1»GppNHp: autoinhibition in a Ga protein-substrate complex. J. Biol. Chem. 274, 16669-16672. 66. Berghuis, A. M., Lee, E., Raw, A. S., Gilman, A. G., and Sprang, S. R. (1996). Structure of the GDP-Pi complex of Gly203»Ala G^: a mimic of the ternary product complex of Ga-catalyzed GTP hydrolysis. Structure 4, 1277-1290. 67. Coleman, D. E. and Sprang, S. R. (1998). Crystal structures of the G-protein Gia1 complexed with GDP and Mg2+: a crystallographic titration experiment. Biochemistry 37. 68. Kimple, R. J., Kimple, M. E., Betts, L., Sondek, J., and Siderovski, D. P. (2002). Structural determinants for GoLoco-induced inhibition of nucleotide release by Ga subunits. Nature 416, 878-881. 69. Gaudet, R., Bohm, A., and Sigler, P. (1996). Crystal structure at 2.4 angstroms resolution of the complex of transducin betagamma and its regulator, phosducin. Cell 87, 577-588. 70. Gaudet, R., Savage, J. R., McLaughlin, J. N., Willardson, B. M., and Sigler, P. B. (1999). A molecular mechanism for the phosphorylation-dependent regulation of heterotrimeric G proteins by phosducin. Mol. Cell 3, 649-660. 71. Tesmer, J. J. G., Sunahara, R. K., Johnson, R. A., Gilman, A. G., and Sprang, S. R. (1999). Two metal ion catalysis in adenylyl cyclase. Science 285, 756-760. 72. Masters, S. B., Miller, R. T., Chi, M. H., Chang, F. H., Beiderman, B., Lopez, N. G., and Bourne, H. R. (1989). Mutations in the GTP-binding site of Gs alpha alter stimulation of adenylyl cyclase. J. Biol. Chem. 264, 15467-15474. 73. Raw, A. S., Coleman, D. E., Gilman, A. G., and Sprang, S. R. (1997). Structural and biochemical characterization of the GTPyS-, GDP»Pr, and GDP-bound forms of a GTPase deficient Gly 42»Val mutant of Gia1. Biochemistry 36, 15660-15669. 74. Hildebrandt, J. D., Day, R., Farnsworth, C. L., and Feig, L. A. (1991). A mutation in the putative Mg(2+)-binding site of Gs alpha prevents its activation by receptors. Mol. Cell. Biol. 11, 4830-4838. 75. Freissmuth, M. and Gilman, A. G. (1989). Mutations of Gs alpha designed to alter the reactivity of the protein with bacterial toxins. 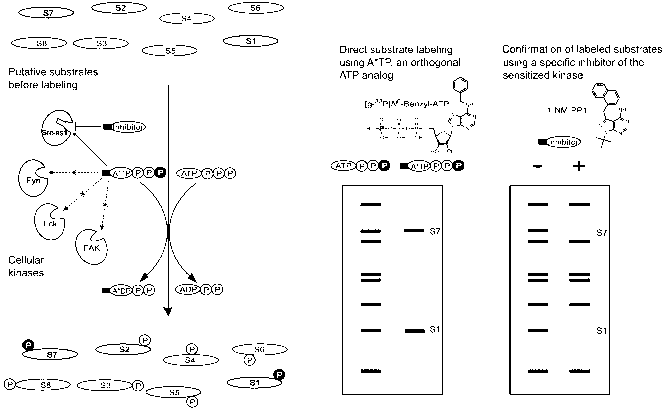 Substitutions at ARG187 result in loss of GTPase activity. J. Biol. Chem. 264, 21907-21914. 76. Landis, C. A., Masters, S. B., Spada, A., Pace, A. M., Bourne, H. R., and Vallar, L. (1989). GTPase inhibiting mutations activate the alpha chain of Gs and stimulate adenylyl cyclase in human pituitary tumours. Nature 340, 692-696. 77. Miller, R. T., Masters, S. B., Sullivan, K. A., Beiderman, B., and Bourne, H. R. (1988). A mutation that prevents GTP-dependent activation of the alpha chain of Gs. Nature 334, 712-715. 78. Lee, E., Taussig, R., and Gilman, A. (1992). The G226A mutant of Gs alpha highlights the requirement for dissociation of G protein subunits. J. Biol. Chem. 267, 1212-1218. 79. Graziano, M. P. and Gilman, A. G. (1989). Synthesis in Escherichia coli of GTPase-deficient mutants of Gsa. J. Biol. Chem. 264, 15475-15482. 80. Yu, B., Slepak, V. Z., and Simon, M. I. (1997). Characterization of a Goa mutant that binds xanthine nucleotides. J. Biol. Chem. 272, 18015-18019. 81. Thompson, J. D., Higgins, D. G., and Gibson, T. J. (1994). CLUSTAL W: improving the sensitivity of progressive multiple sequence alignment through sequence weighting, position specific gap penalities and weight matrix choice. Nucleic Acids Res. 22, 4673-4680.